"Charles Langford studied composition and teaching with Billy Harper, Donald Byrd, and Barry Harris, among others. Prior to that, Mr. Langford studied with George Coleman, Archie Shepp and Yusef Latef. Since then, He has become one of the Boston area's top A-list players. 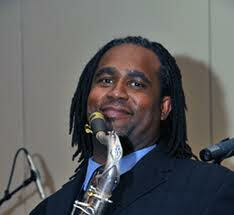 He's played with artists ranging from The Toni Lynn Washington Blues Band to The Temptations and Mighty Sam McClain. He's paid his dues and put in years with Melvin Sparks, Norman Connors, Solomon Burke, and Steve Turre. With his debut release, "That's Wassup", Mr. Langford has great things in store."